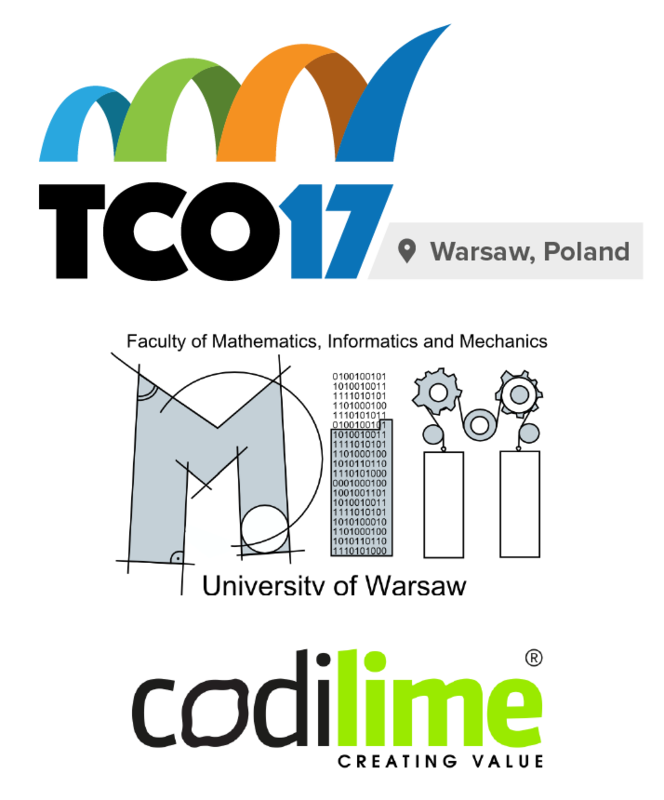 The TCO17 Warsaw Regional Event will take place on Saturday, September 2, 2017 and is hosted by our sponsor the University of Warsaw. The event will include a Single Round Match (SRM) style Algorithm Competition that could lead you to the TCO17 Finals which will happen at live at the event. We will also be having a lightning marathon match round leading up to the event. You can find it here on August 29, 2017 at 21:00 UTC -4 with final submissions ending September 1, 2017 at 21:00. The event will also allow you to mingle with other Topcoder members in your area, meet some cool sponsors, and get you a Topcoder t-shirt! See the entire schedule below. What public transportation can I use to get to the event? Tram – the nearest stops are BANACHA, OCH-TEATR for trams not taking Banacha route. Bus – stops are called BANACHA or BANACHA-SZPITAL, depending on your route. Veturilo – two stations are within 200 meter radius: Pasteura – Winnicka – UW station nr 9550 and Stefana Banacha – UW station nr 9551. Take note that most often there is free space to leave the bike, but not many options to rent one. Is there parking at the venue? There are few parking spaces in front of the building. Coming by public transport is highly recommended. What competitions will take place at the event? The event will have an Algorithm Competition or single round match (SRM). 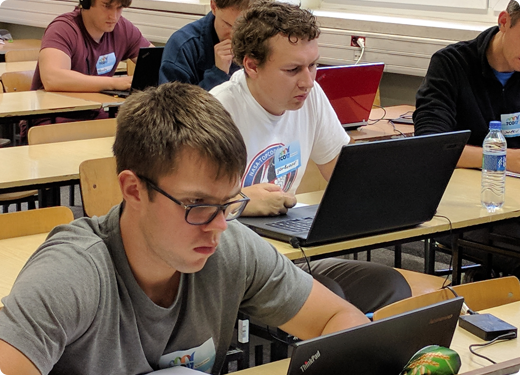 Learn more about Topcoder Algorithm Competitions here. What can/can’t I bring to the event? You can bring your laptop for the competition and any power cords you may need. What if I’m not a Topcoder member? Becoming a Topcoder member is easy and free. Best to register as a member before attending the event so you can take part in the competitions. Go here to register. What kind of prizes will there be at this event? All every attendee gets a rad t-shirt. Plus you could win a bid to the exclusive TCO17 Online Algorithm Wildcard Round which could lead to the TCO17 Finals in the USA! Why should I attend this event? If you’re an up and coming programmer or want to become a professional software developer, being a part of the Topcoder community has immense value. Attending this event gives you networking opportunities for a potential job or internship. Did you know some of the top tech companies encourage their applicants to get a Topcoder rating or at least share their rating during job interviews. Plus you’ll have access to the largest worldwide developer and design community and all there is to learn from them. That is fine, but only one person per ticket is allowed.